We are living in a time of great change. The pace of technological advancement in today’s world has increased exponentially, leaving us with a constant yearning to see what tomorrow brings. The catalyst for this constant development is the consumer: what can we do to make the everyday lives of consumers easier? Innovation is not just about technology- it’s about people. At Huawei, we understand this drive for innovation all too well. It’s why we are one of the top 10 brands in global R&D investment in the world, and we have established 16 research centers globally. Huawei has put more than US$45 billion in R&D in total over the last 10 years. It is this dedication to innovation that has led Huawei on its evolution to being one of today’s global iconic technology brands. Huawei has been a leader in driving consumer-centric solutions and key global partnerships to bring world-first innovations to the smartphone industry. For example, over the last decade, Huawei has set new standards in smartphone photography, bringing to life professional-grade photography with the convenience of a mobile phone. And today, we are one of the first smartphone brands to have launched the Mate 10, the world’s most powerful AI smartphone, with an AI-powered camera. How did we get to where we are today? Huawei recognizes that the camera is one of the most important features a consumer looks for in a smartphone. Our thinking was: why not offer the best camera quality possible to our users? We established a partnership with Leica, the world’s leading high-end camera manufacturer. This unprecedented partnership reinvented smartphone photography by co-creating the world’s first Leica Dual camera for mobile phones, making artistic photography available to and easy for everyone. From there, Huawei’s camera expertise accelerated rapidly, with the aim of constantly improving on the quality of smartphone photography to give consumers the best camera features in their devices. And, each year, we have not just improved, but provided ground-breaking innovations that are unprecedented in the industry. In 2014, we introduced the world’s first 4-colour 13 megapixel camera in our P8 phones. In 2016, we launched the world’s first wide-aperture smartphone with the introduction of the P9, which also featured a cutting-edge Leica Dual Camera and world’s first dedicated depth ISP. And, in 2017, we introduced the world’s first smartphone with Leica rear dual-camera and Leica front camera with our P10. Today, we have moved beyond the smartphone with the introduction of the first intelligent phone– our Huawei Mate 10 series, the world’s most powerful AI mobile device. Heralding a new decade of smartphone development, consumers get a more customized, faster mobile experience powered by Huawei’s breakthrough Kirin AI processor. And most importantly, consumers now have one of the most innovative and powerful AI cameras. With the Mate 10, the AI-powered real-time scene and object recognition allows the camera to automatically adjust and choose settings to capture high-quality photographs in a range of different environments. The AI-powered digital zoom of 6x to 10x captures greater detail, bringing far-off text into clearer focus. The series is powered by SuperCharge technology, for exceptionally fast charging- a 30-minute charge powers the battery to 58%. Huawei’s SuperCharge technology also features the world’s first TÜV Safety Certification, the strictest certification of its kind in the world. 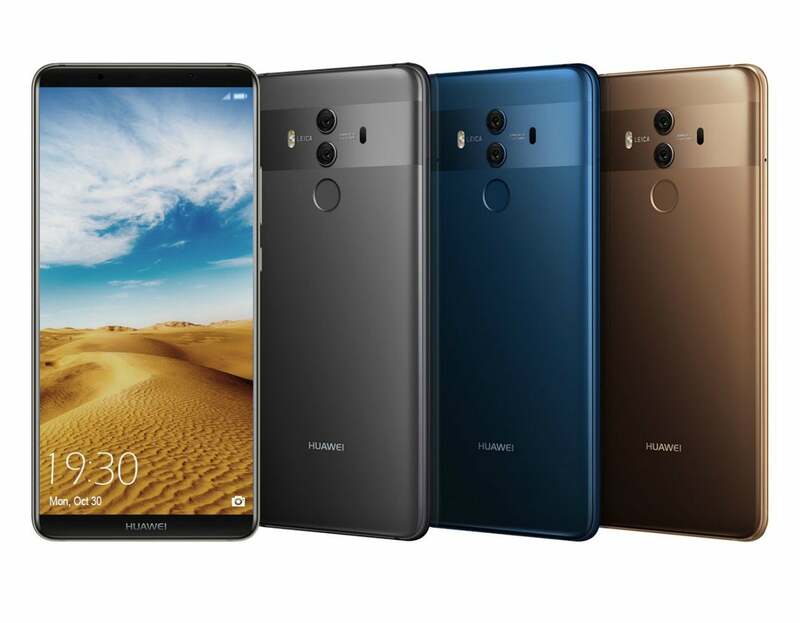 The Huawei Mate 10 series has broken boundaries and ushered in an era of smartphones that transforms human-to-machine interaction to offer increasingly intelligent and seamless solutions for consumers’ busy lives. And, we have been able to deliver an exceptionally innovative and powerful camera for consumers, giving them the opportunity to take professional quality photos on their smartphones. What comes next, you may ask? We continue our quest to improve and innovate and we look forward to sharing our next era of smartphone camera innovation with you. Stay tuned!